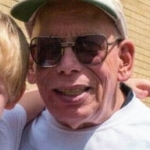 Keith A. Kwiat, age 70, of Union City, passed away suddenly on Friday, February 8, 2019. He was born in Chicago, IL on October 13, 1948, the son of the late Ted and Jean Manuto Kwiat. For 25 years, Keith worked as a diesel mechanic for PennDOT and at one time, owned Kwiat’s Garage on Oak Hill. Keith is survived by his wife of 12 years, Cindy; his son, Tim (Pam) of New Jersey, and three daughters, Terri Hyatt and Tammy Kwiat, both of Erie, and Kayla (Jeremy) Wegmiller of Union City; several grandchildren, nieces and nephews, and a sister, Dana McConaghy. He was preceded in death by his twin brother, Kevin and his wife Maryann. 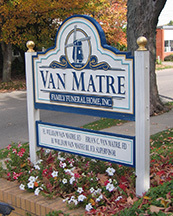 Friends may visit with the family at Van Matre Funeral Home in Waterford on Wednesday evening from 6:00 until 7:00 p.m. with a service to follow. Keith,Thank you for letting Emery and I be apart of you’re and Cindy life circle and your friend,your Knowledge of cars helps Jimbo fix ours and many others..We enjoyed sharing your birthday with you and Cindy,and many holidays,this past Halloween was a smashing hit..we will miss you dearly my friend…may you find peace.